Scania’s corporate venture capital-fund announces its next investment. Scania Growth Capital will become part owner of Swed-Weld, a leading producer of add-on equipment for the optimisation of automated manufacturing lines. Swed-Weld is based in Sweden and its primary product is feeding machines for welding nuts, which are an important part of the robot cells that are used in modern manufacturing. When connected, Swed-Weld’s feeding machines provide data that when analysed enable troubleshooting, preventive maintenance and software upgrades. This in turn reduces the number of production stops, so increasing production efficiency. “We are very enthusiastic to have an industrial owner like Scania. With the knowledge and network of Scania, we will be able to accelerate our growth, with the aim of providing the highest quality and the most customer-focused offering in the sector,” says Henrik Larsson, Founder and CEO of Swed-Weld. Swed-Weld also produces welding machines and other types of feeding machines. By utilising a modular system, the company can quickly adapt its standard feeding machines to fit customers’ specific needs. Swed-Weld also offers installation, training, service and spare parts. “Swed-Weld has been able to secure contracts with some of the most demanding buyers of automation equipment. By leveraging a modular production platform, the company can help customers to improve production efficiency”, says Daniel Riazzoli, Partner at the management company of Scania Growth Capital. In addition to capital investment, Scania Growth Capital also provides a platform where Scania can contribute its industry knowledge to its portfolio companies. In the case of this latest investment, Lars Henrik Jörnving, head of Global Industrial Development at Scania, will join Swed-Weld’s board of directors. “Scania Growth Capital invests in growth companies with strategic relevance to Scania and our ecosystem of customers and partners. 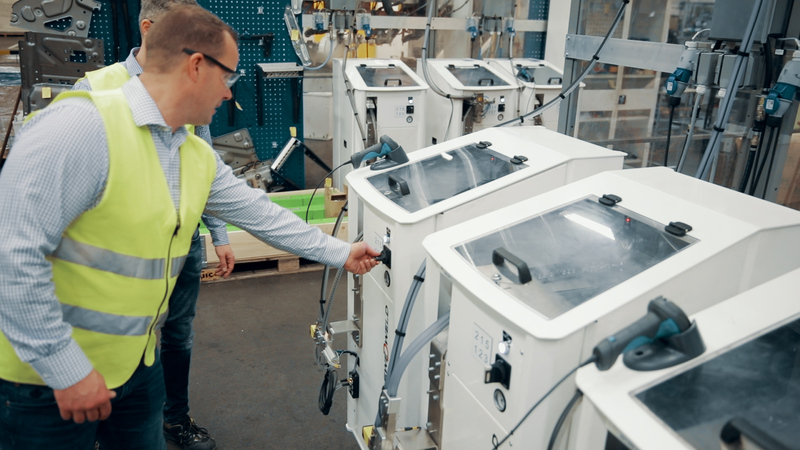 As a large manufacturing company with a global production system we see this intelligent use of a modular production, in combination with customer focused design as a strong concept within smart factory development and a good fit for our industry,” says Jörnving. Scania Growth Capital invests in companies that enable the transformation to a more sustainable transport system and in ventures that can develop disruptive technologies and business models. The fund is managed by an external management company consisting of a team with extensive experience from both investments and the automotive industry. Investments may include, but are not limited to, companies with products, solutions or services in digitalisation, autonomous vehicles, connectivity, hybridisation, renewable fuels and smart factory.